The stage is set for Ascot to host the 5th race of the season of the 2015 Red Bull Air race World Championships this coming weekend. Featuring the world’s best pilots, the sport harnesses speed, precision and skill as agile planes are manoeuvred down a low-aerial track made up of 25 metre high air-filled pylons. This is the fastest motor-sport series in the world and it is a spectacle to behold. 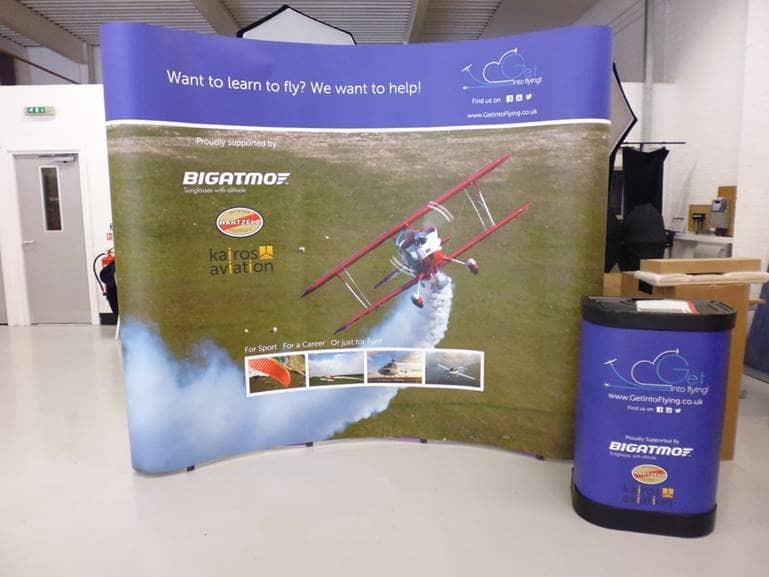 Whilst the exhilarating racing and side acts take place in front of the grandstand, Bigatmo is delighted to be sponsoring the Get Into Flying campaign, and we will be on stand with the Get Into Flying team and the other sponsors including Kairos Aviation, Hartzell and E-Go aeroplanes. On a mission to make aviation more accessible to all, Get Into Flying have pooled together a host of aviation professionals and example aircraft to let everyone at Ascot get closer to aviation and to discuss ways to help those with a dream to fly to realise their goals. Bigatmo sunglasses are designed for pilots, and years were spent in R&D developing a range that performed well in the full array of flight deck environments. The Bigatmo team will be at Ascot on Sunday, talking about why eyecare is vital when flying in some of the most challenging conditions, and giving tips on what to look out for in the ideal pair of sunglasses. for aviation. Technical performance and comfort are paramount, and too many brands do not deliver. Come along to the stand at the weekend and we’d love to talk to you. The Bigatmo range of sunglasses for pilots will be there to be tried.